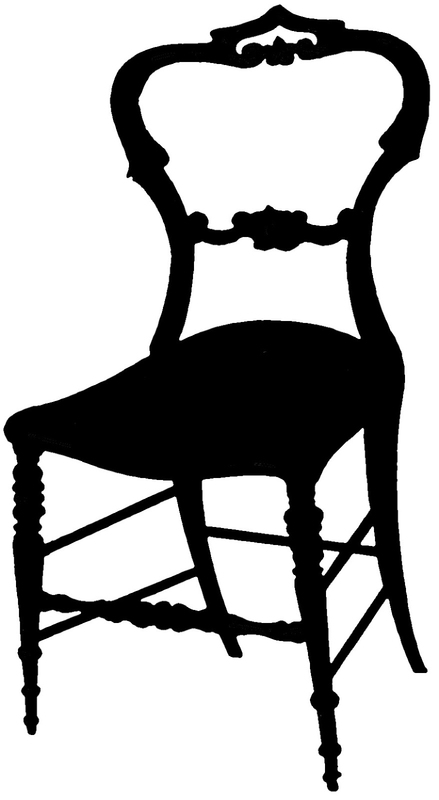 Today we have a lovely collection of 16 Chair Clipart – FREE for you! 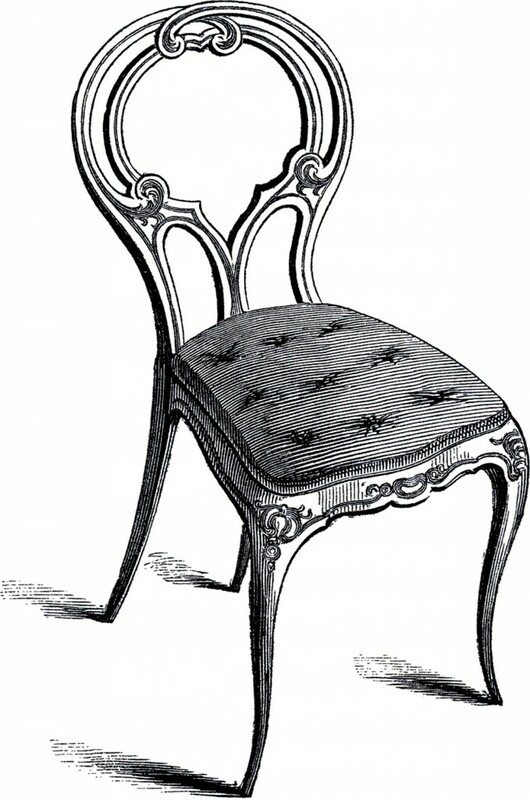 This assortment of elegant, fancy, ornate, and functional chair pictures is stunning. I just love French design and furniture. Most of these illustrations are French or Frenchy in style! I think any of these would be lovely on Notecards or transferred onto a Canvas for some pretty Wall Decor! 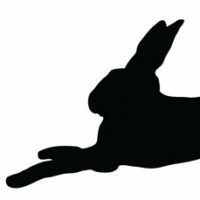 These types of black and white images are perfect for transferring onto guest towels, pillows, sachets etc. They would also be nice to frame as is. There are so many ideas for using these chair graphics. This is a beautiful Fancy French Chair Image! Shown above is a lovely ornate French Chair with a Curvy open back and decorative carved scrolls on it. It is such a pretty design! 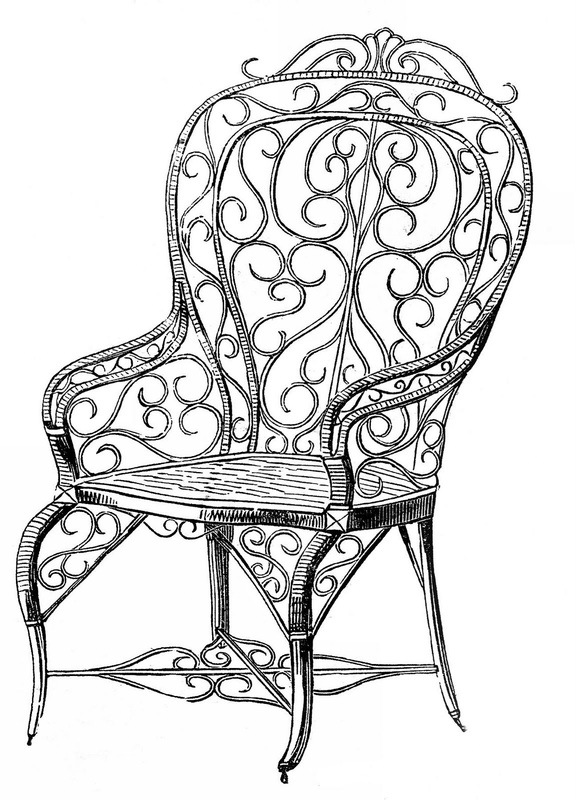 Featured above is a beautiful Oval Back French Chair Image! What a lovely French Chair with an Oval back and a decorative carved Ribbon across the top! This is a beautiful Vintage French Furniture Download! 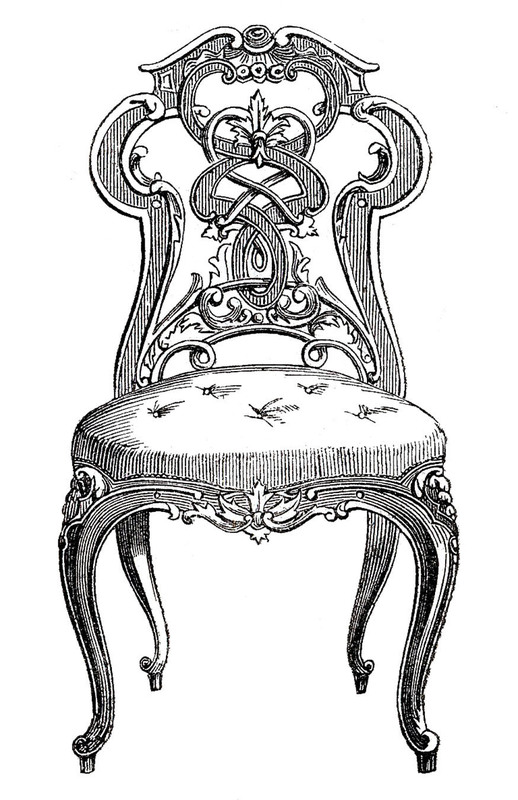 Pictured above is an French Chair with an Ornate Oval back and decorative carved scrolls on it. Such a pretty design! Pictured above are a couple of attractive upholstered chairs. I really like the delicate lines of the first one and find it quite captivating! These images date to the 1850’s. 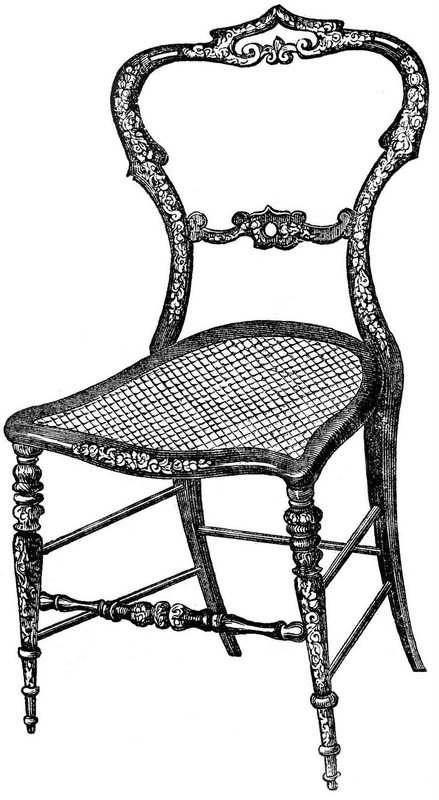 Here is a lovely little Frenchy Chair from an old 1850’s Catalog! According to the description it was made in Paris. So chic! I love the intricate curvy patterns on the back. A lot of work must have gone into making it! I also like that the seat is tufted too! 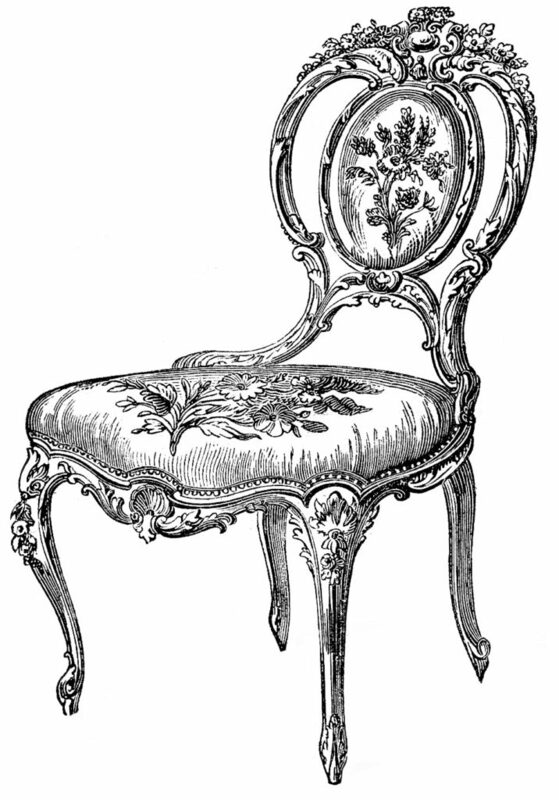 Here is another classy looking Frenchy Chair. I love the Tufted upholstery and the lavish carvings on the wood. Another example of impressive craftsmanship! 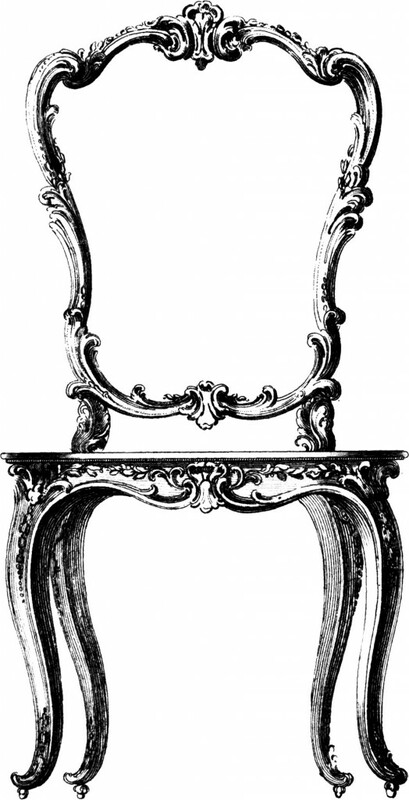 This is an Interesting Elizabethan Chair Image! I love how opulent this one is. It looks super solid too! 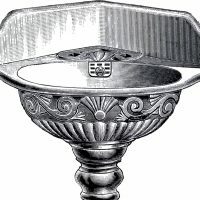 This one also comes from an 1850’s catalog. According to the description in the Catalog the Chair was gilded. How regal! These are some very cute little Antique Images! 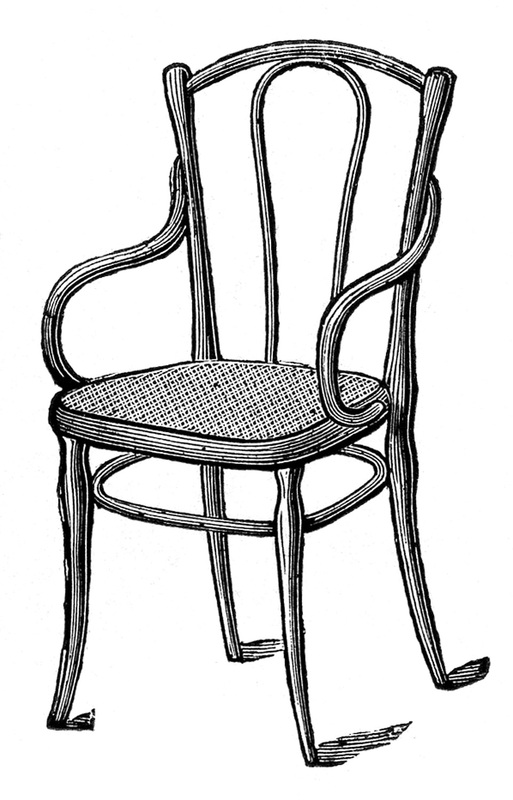 Pictured above are two matching Caned Bentwood Chairs. These come from a Circa 1886 Cabinet Maker and Furniture Catalog. According to the catalog these were made in Vienna, Austria. This is a gorgeous antique Victorian Wicker Garden Chair image. I think the scrolly designs of the wicker are just so pretty! This is a charming Vintage Frenchy Chair Image! I love how Romantic the shape of this chair is. 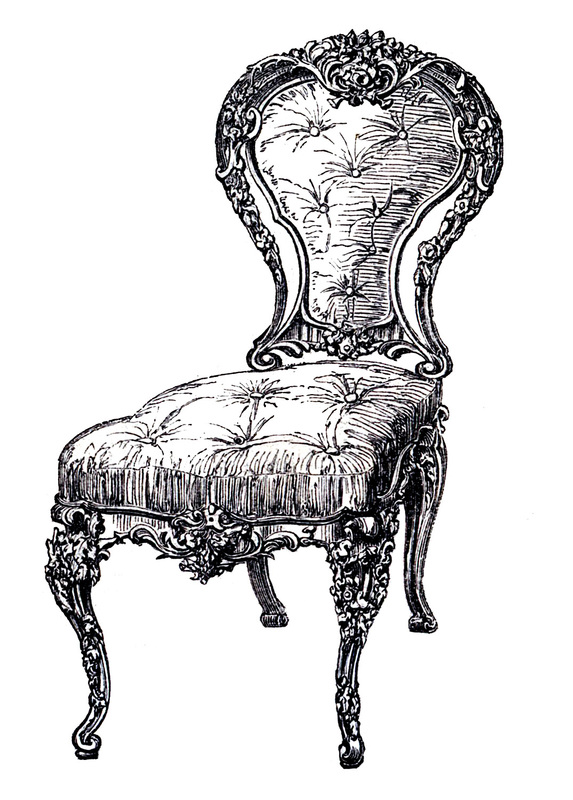 It has a beautiful rounded back and curvy legs along with several elaborate carved areas. The tufted seat is so appealing too! 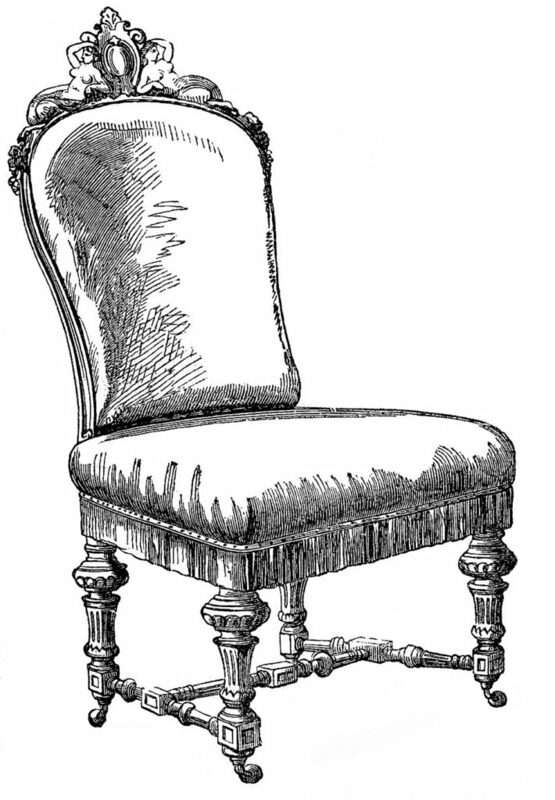 This one shown above is a splendid little Frenchy looking chair. It is not as fancy as some, but still has a classic, regal appearance. Here is the Frenchy looking Chair from the previous image that I’ve turned into an attractive Silhouette. Hope you like it. 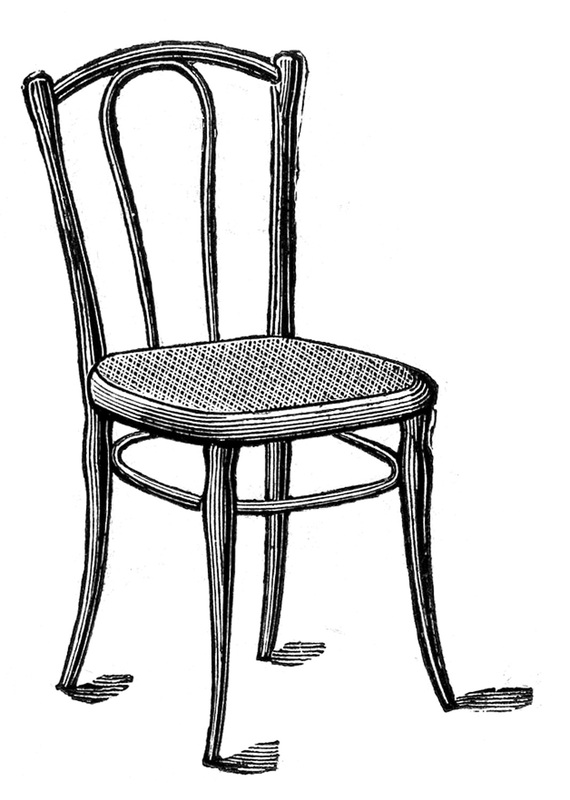 I hope you enjoyed this fun curated collection of 16 Chair Clipart!!! You might also like our 50 Favorite Wedding Graphics HERE. « 11 Purple Flower Images – Beautiful! Karen, I just lovelovelove this! Thank you for all the amazing images and Congratulations on 5000 Followers! Nancy, thanks for the Congrats!! Love love the chair .. I have seen that you take requests ..so if you get to mine I am looking for some bird baths ..I like the style as this chair is in where it’s drawn out if you have anything like that ..not sure of the correct artistic name for it. But of course I would appreciate any you have. Wonderful images. So elegant and charming. Thank you! this would make a great notecard design…thank you!!! I love wicker, and this graphic is really cool! I’m going to try to come up with a project for this one!Thanks so much for sharing this and so many other great images. Thank You Karen for this Beautiful Chair Image.Hope you have a Wonderful Weekend! Do you have more vintage chairs like this one somewhere on the blog? I found this post with google. Yes, I do have more vintage chairs on my blog. If you do a search for “chair” in the search box, they should pop right up for you! You can find the search box on the right side of my blog, just above the categories section.